XswingGOLF recruits local business partners of the whole country. XswingGOLF recruits the business partners who can unfold as the business that continued screen golf with TSS-Group. Xswing is screen golf that the completeness of the product and a support system are the world together, and is accepted. I promise long-term stable business. ・A corporation, the individual do not matter to the business partner. ・Knowledge is necessary until Xswing setting, maintenance. ・Please perform a business activity in cooperation with TSS-Group. Please transmit the details of your company after entry than an inquiry form. XswingGOLF raises the stores which can sell screen golf. ・In a store registration condition, it does not matter to a corporation, the individual. 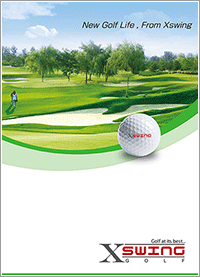 ・It is knowledge of screen golf-free, and, contract charges, we have no a sale quota. ・Please perform sales activities to have you introduce a visitor to store. ※We make arrangements if you can introduce a visitor and do all business about setting. Please transmit a matter necessary for a store application by FAX after entry.